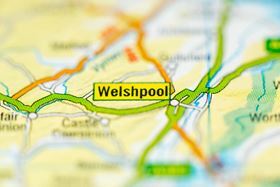 Dynacast UK is located in Welshpool, UK. MIM specialist Dynacast has expanded its 32,000 ft2 facility in Welshpool, United Kingdom. With this new expansion, the company has also been able to reorganize the facility, improving processes and maximizing efficiency, Dynacast says. This story is reprinted from material from Dynacast, with editorial changes made by Materials Today. The views expressed in this article do not necessarily represent those of Elsevier.